Welcome home! This custom waterfront home sits out on one of the points of Lake Choctaw with big water views, a swim platform and boat dock! Vaulted ceilings in the main living spaces and a glass-walled catwalk connects the upstairs rooms overlooking the first floor. Newer 2” wood blinds, brand new kitchen refrigerator, and newer Anderson sliding wood doors facing the lake. Skylights in the owner’s suite and bath. Brand new owner’s bath tile shower with glass enclosure, new double vanity and granite counter tops with oil rubbed bronze fixtures. Pass through fireplace between great room and owner’s suite. Second owner’s suite or mother in law on first floor. 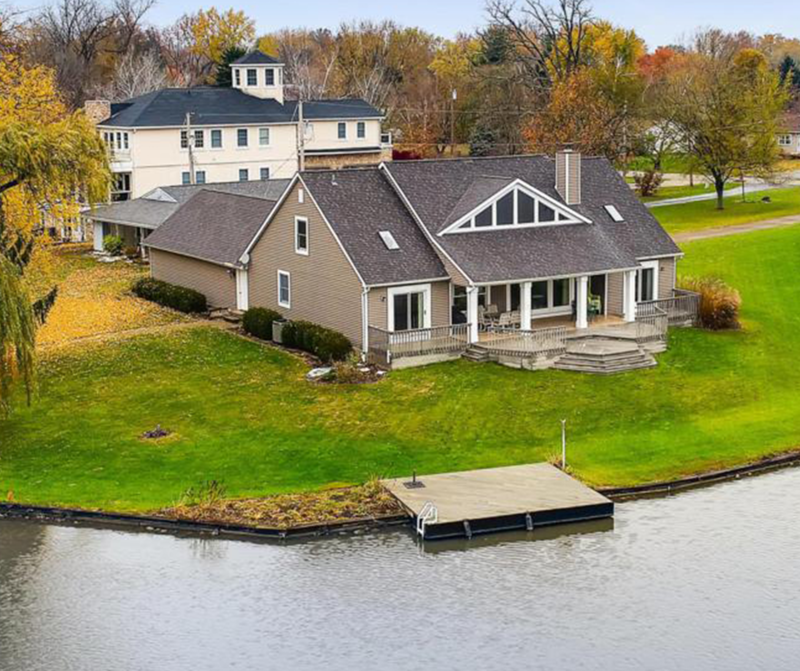 225′ of water frontage!